Half of Australia’s homeowners use their outdoor space for entertaining. That is the highest amount out of the thirteen countries surveyed during the 2017 Houzz landscaping study. It’s no wonder that 63% of Aussie homeowners plan to do renovations or make improvements to their backyards this year. If you are considering updating your patio furniture, read on. 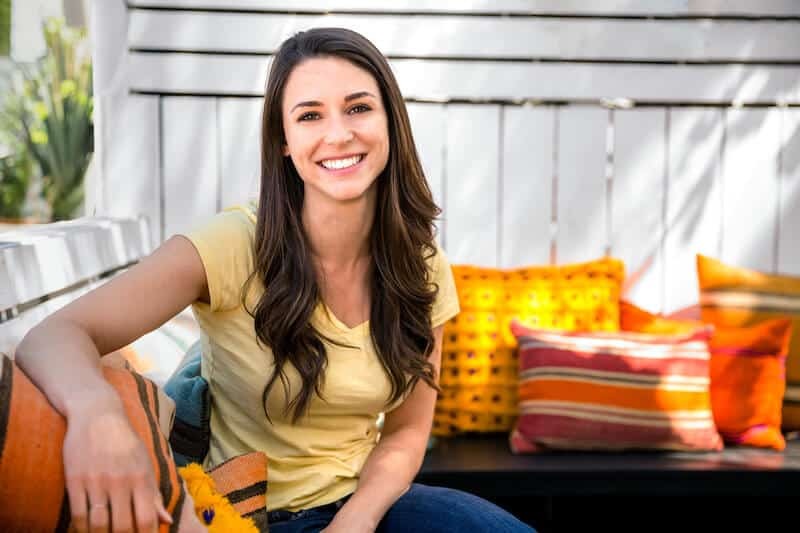 We will walk you through everything you need to know to buy the best outdoor cushions that will make entertaining a breeze. People use these two terms interchangeably, but there is a big difference between waterproof vs water resistant fabrics. Waterproof means that the fabric will not absorb water. Water resistant means that the material has a coating that repels drops of water. If you dunk a water-resistant cushion in water, it will soak up the water. Keep these terms in mind when you compare outdoor cushions. Besides choosing a print or colour you like, you should be aware that the fabric and material used for cushions will impact how long your cushions last. Cheap fabrics that are not water-resistant will lead to mould or mildew. The colours may also fade in the sunlight just after being in your outdoor space that first summer. Here are the various types of outdoor cushion fabric and what it means for your outdoor cushion seats. Vinyl is also called PVC. It is a type of plastic material that is inexpensive to manufacture and toxic to our planet. It is not a recyclable material that ends up in our landfills and waterways. Vinyl cushions become very hot in sunlight, so they would not be a good option for a yard that will host children. The vinyl can become painful to touch when it has been in direct sunlight, and it could burn your exposed skin when you go to sit on them. Ouch. What good are outdoor cushions that are too hot for you and your family to use? We suggest avoiding this outdoor cushion material. Cotton canvas is a soft fabric that has been around for hundreds of year. It is affordable and can be easily dyed. Some manufacturers add a water-resistant coating onto the fabric. Check the label carefully before you buy it. Without that coating, you will probably get mildew or mould growth. This fabric should not be used near the backyard pool. Don’t choose this fabric for poolside loungers. It is not chlorine safe. Textilene is a woven fabric made from polyester yarn that has a PVC coating. Because of the PVC, these outdoor cushion seats will get hot in the sun. The fabric is sturdy however due to the use of yarn. The good thing about this fabric is that it is waterproof (not just water resistant). They can fade in the sunlight over time. All in all, Textiline is a mid-grade choice fabric for outdoor cushions. Sunbrella is a patented material that uses solution-dyed acrylics. Because the acrylics are already dyed, outdoor cushion seats made from this fabric are fade resistant. Sunbrella fabrics are waterproof, safe around chlorine, and mould and mildew resistant. Of all the fabrics, Sunbrella is the highest grade; however, they are costly. All outdoor cushion seats have some filling inside to make them plump and soft to sit on. There are five types of filling that is used inside outdoor cushion seats. Compressed polyester is a thick batting that will not disintegrate but will compress over time. It’s an excellent non-allergenic option that is easy to care for and can easily air dry and is washable. The batting is mildew resistant which means that if your fabric cover is also mildew resistant, you are in great shape for preventing unhygienic spores from growing on your outdoor cushions. Again, this fill is not foam; it consists of blown polyester fibres. Usually, throw pillows and cushions use Polyester fibre inserts. The polyester fiberfill comes pre-sewn inside a fabric inserted into the cushion covers. Again, this fill is mildew resistant, hypoallergenic and can be machine washed. After laundering, you may find that the fill is separated inside the cushion. It can easily be fixed by smoothing it out with your hand. This foam filling is a traditional choice, used in mattresses and couches for decades. It is an affordable choice and provides medium-firm support. On its own, it is not water-resistant. However, many manufacturers treat the foam with a biocide treatment that prevents mould and mildew from growing. It is also not waterproof. Some companies will use a plastic wrap around the foam before putting it in the cushion. Be wary about using polyurethane foam in areas where you get a lot of rain or near a pool unless you are sure about waterproofing. This type of foam has open pores within the foam that allow air and water to circulate. In cushions, it provides a pleasant, cool seating experience. But what about when it gets wet? Open cell foam dries very quickly and is treated with a mould and mildew spray preventing bacteria growth. This type of fill tends to be expensive. But many people find it worth the price. You can use open cell foam in the sun, rain and even snow without any problems. The other option with porous foam filling is a closed cell option. In this case, the closed cells do not let any water run through it. Throw your cushion in water, and it will float. Aeroplane life vests are made out of closed cell foam. It is often used as seating on commercial boats as well. This foam is three times more firm than polyurethane foam. That means that it can last a long time without becoming thin in spots or flat. This type of filling for outdoor cushions is expensive. If you live in an area that gets a lot of rain, you may want to consider this option. Beanbag fill is not a traditional choice for outdoor cushions. It can be a great way to make your space comfortable, trendy and unique. 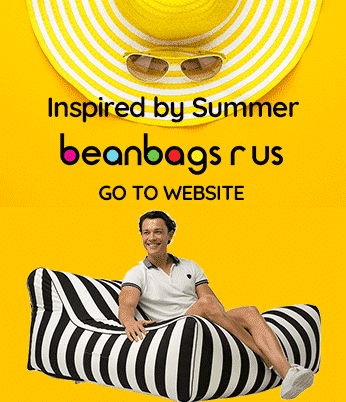 For example, some beanbag day beds around your patio are a great way to enjoy the sun. Many beanbag chairs use EPS beads as filling which is an excellent choice because EPS is 98% air. That makes the furniture lightweight for moving around and very comfortable for sitting. Best of all, you can add more fill as needed without having to replace the entire thing. It’s a cost-effective option. Beanbag filling is resistant to moisture and heat so can be comfortably used outdoors. Besides fabric and filling, there are several other factors you should consider before buying your outdoor cushions. Here are a few. Some cushions offer two patterns on them (one on each side), which allows you to change up your outdoor space by just flipping your cushions over. Or even if you have the same pattern on both sides, is your cushion reversible? There shouldn’t be any tags or zippers showing if you flip it over. If you see those, the cushion is not reversible. Reversible cushions extend the life of your outdoor cushions. You can flip them regularly, just as you do with a mattress to prevent compression in one spot. Welting is a decorative addition to cushions. It is thin piping that runs along the edges of the cushion. Usually, it is in the same colour as the fabric. It is not necessary but can add a luxurious glam to your cushions. The cushions will look more plush and full thanks to the decorative border. Foldable cushions are great because they make storage simple. You can fold them up along the natural crease and stick them in a deck box or garage when you aren’t using them. Not all cushions have this option. Storage is worth thinking about before you make a choice. Think about where and how you would store those cushions. Cushion ties or velcro ties keep your seat cushions in place which will prevent you from picking up cushions that blow away in the wind. And it will be more comfortable to sit in chairs that don’t have a gaping hole between the chair back and cushion. It’s a nice feature that keeps cushions in place. It doesn’t work for all patio seating but is an excellent option for dining sets. Slipcovers for outdoor furniture and cushions are a smart idea. For furniture, slipcovers hide the frames of the chair so that the entire piece is covered in fabric. What this does is give your outdoor furniture a visually appealing unified look. You can also get slipcovers for cushions. It’s a great way to add another layer of protection to your cushions. Or change up the look when you want to enliven your space. Ones that are made by the same manufacturer are going to fit and look the best, so stick to those if you can. There you have it! The definitive guide on how to select the best outdoor cushions. As you can see, there are a lot of factors to consider besides pattern. Higher quality of fill and fabric will translate into a higher quality of outdoor cushions that you can enjoy for years to come. Why you’re here, check out our wide selection of pool bean bags and pool floats for the most relaxing pool experience you’ve ever had. This entry was posted in Cushions & Ottomans.